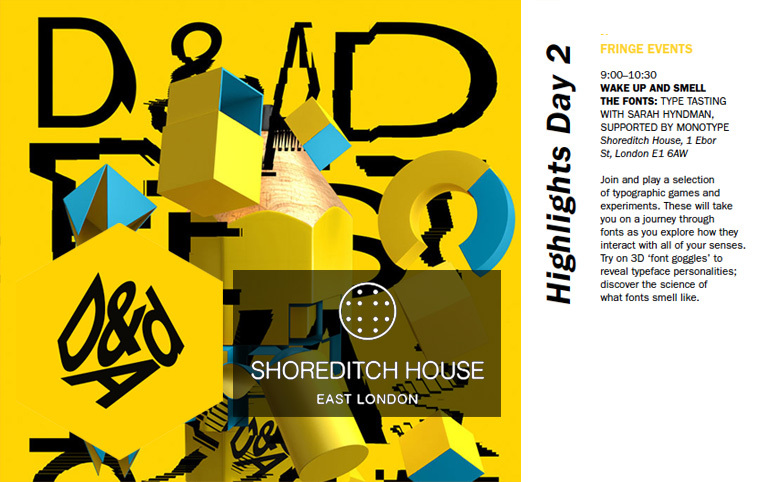 It was exciting to be a part of the D&AD Festival Fringe at Shoreditch House on the 26th April. We filled the exclusive private club’s Library with games and experiments involving typography and all the senses. This was followed by a talk and a lively Q&A session and everybody went home with a pile of Monotype goodies. 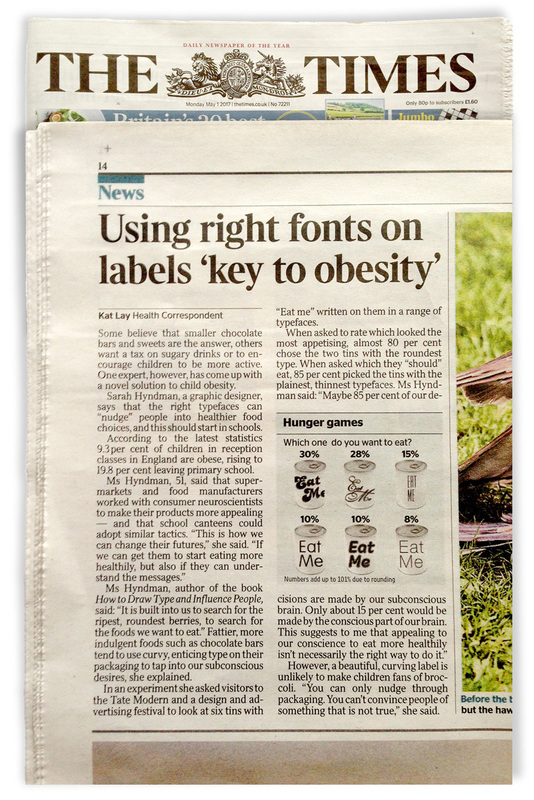 A preview of results from one of the experiments were published in The Times newspaper. “Tasting, smelling, listening to and even saying type! Mind blowing workshop from Sarah Hyndman #mindblown” Micklegate Design via Twitter. “So interesting, so brilliantly delivered and such a clever structure. It was fabulous. My festival highlight.” Ruth Yearley, Partner. Director Of Insight & Strategy, Ketchum. 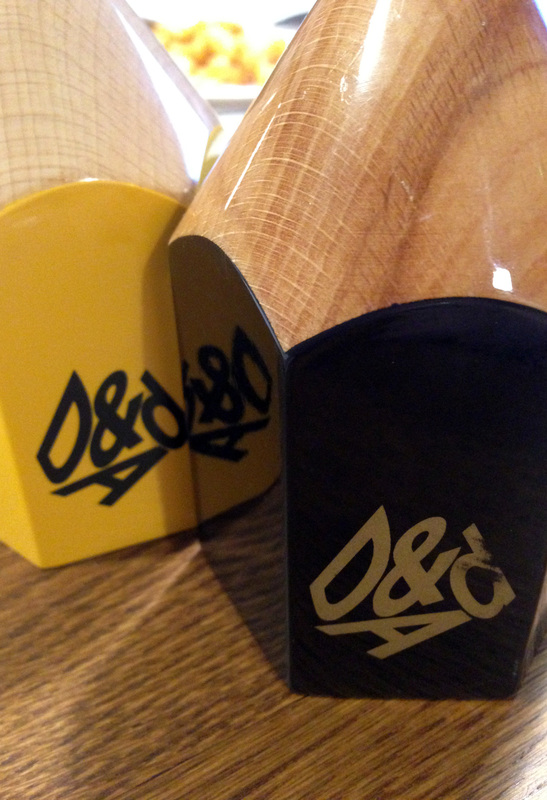 VBAT posted a fantastic write up of the D&AD Festival on their blog, read the full blog post here. 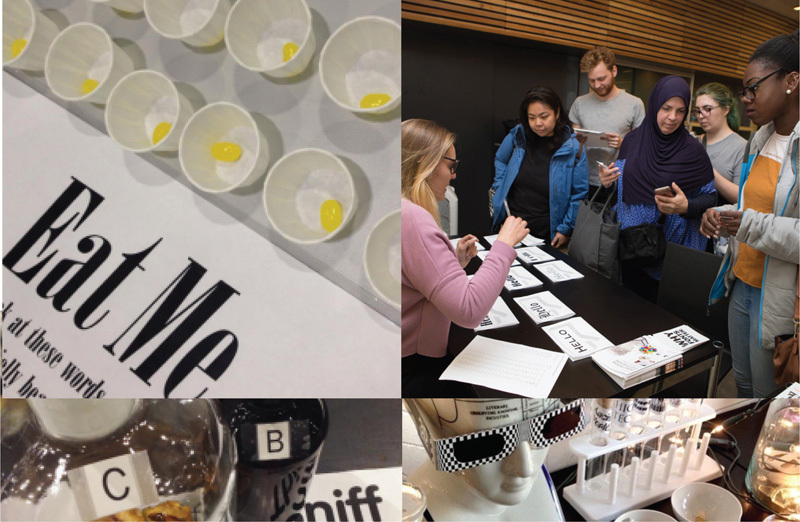 My second day at the festival started early with a visit to one of it’s Fringe Events — ‘Wake Up and Smell the Fonts: Type Tasting with Sarah Hyndman’. Offsite from the main festival, it was held in the library of Shoreditch House, a member’s club with a rooftop pool and refreshing ‘no suits’ policy in a converted East London warehouse. Arriving well before the rush of other participants I took a seat at the front and got comfortable while Sarah prepared for the session. Sarah Hyndman is a graphic designer, writer and public speaker known for her interest in the psychology of type, whose area of expertise is multi sensory typography. Sarah is the founder of the highly innovative Type Tasting studio; and her mission is to change the way we think and talk about typography through her writing, typography workshops and events. Author of two books on typography: Why Fonts Matter and How to Draw Type and Influence People much of Sarah’s work is focused on research into typography and perception. To this end she has worked on several collaborative studies over the last 4 years with the Crossmodal Research Laboratory at University of Oxford. Typographic games, photo by Graham Sturt. 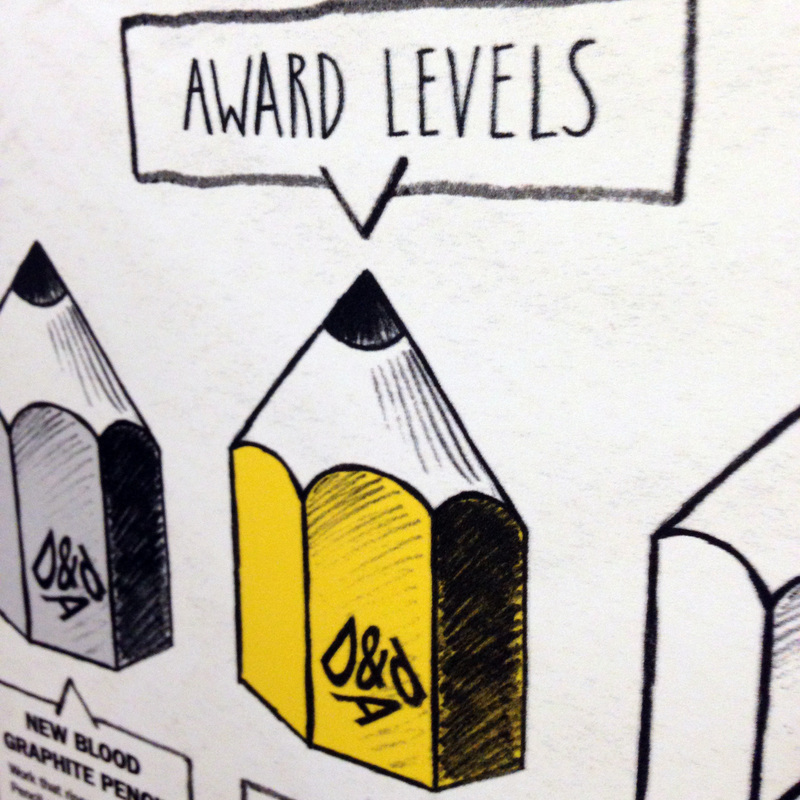 Yesterday was a thought provoking and inspiring day judging the Monotype brief for the D&AD New Blood Awards. The brief was to take a cause they believed in and to use the power of type to make a difference. The winning entries were pulled apart by seven of us to reveal surprising layers of creativity, they changed the way we thought about something, and they made us care about the cause. Some causes were big and powerful ones, others were gentle and quiet, articulated in an incredible array of different voices. An intensive creativity refresher focusing on typography for the investment management firm’s Edinburgh headquarters. The graphic design, digital and motion graphics teams attended the workshop, with participants ranging from partner to newest recruit. The venue was a conference centre in Edinburgh with the attendees split over two days. A day away from the office and the computer exploring creativity through typography. Type is shaped by the tools used to create it. Quick fire sketching session using expressive mark making materials. How typeface personality research informs your choice of typeface. 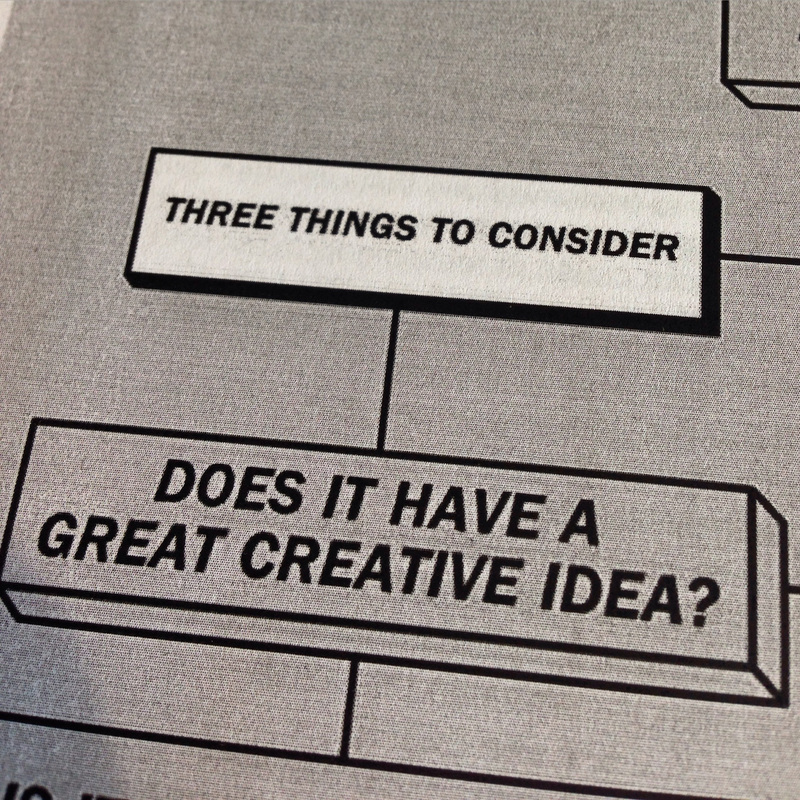 The importance of thinking creatively as part of the design process. Sketching and drawing for idea generation. Confidence to experiment with new typefaces and combinations; not the safe and familiar. 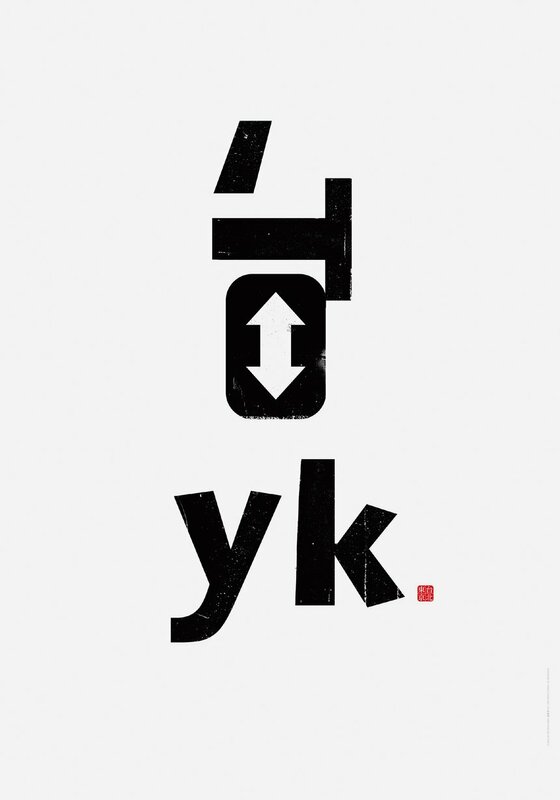 Greater awareness of using type to emotionally engage with the audience. 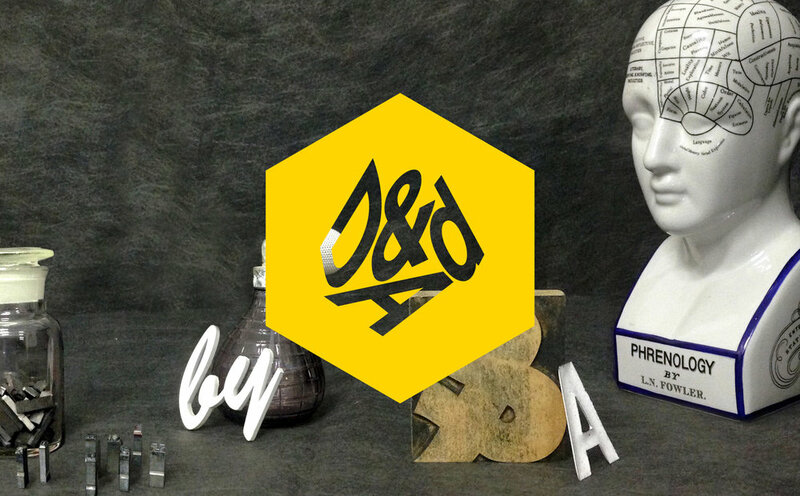 I’ve been having fun working with the D&AD to write a new typography workshop with them called ‘Typography Lab’. The first session runs in September in their wonderful new workshop space near Brick Lane. It’s going to be a jam packed day of exploring, choosing and customising typefaces in typical Type Tasting style. Join typography expert Sarah Hyndman on a journey into the world of typefaces. 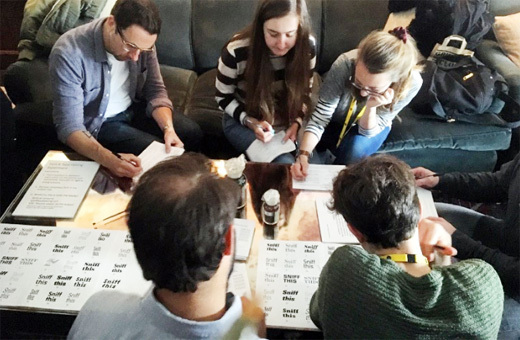 Learn to use “the machine”, a proven process for choosing the right typeface, experience the joy of “typography yoga” and take the font “taste test”. Discover how to use typefaces to make an emotional connection that enhances the impact of your designs. Sarah Hyndman is an experienced graphic designer with over 15 years’ experience including running the Experimental Typography course at the London College of Communication. Sarah organised the creative typography exhibition at the V&A, as well as setting up her own design company With Relish in 2003. She is currently writing a Type Tasting book. 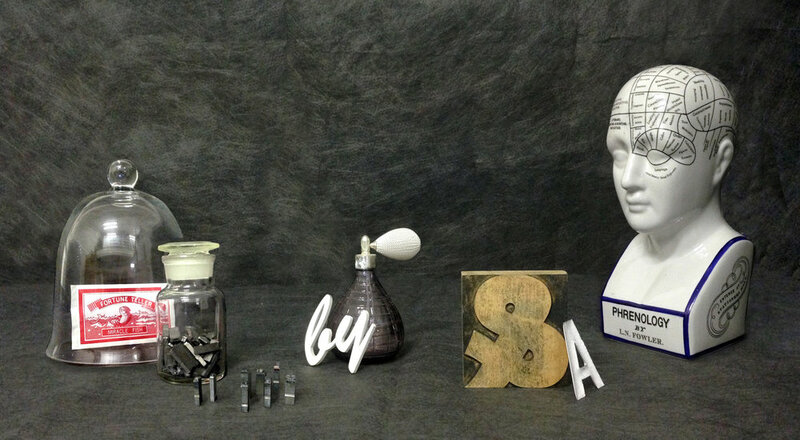 Typography Lab is for anyone who is curious about how typography can be used to elicit an instinctive response. It’s perfect for junior creatives and non-designers and explores the experience of typography from both the designer and the readers’ viewpoint.